Acai bowls are more than just an Instagram trend. These healthy and delicious bowls spark the inner foodie's creativity and wonder when constructing the perfect blend of fruits and granola for your taste buds. See what all the buzz is about and try some of the best acai bowls at these restaurants in Miami. Don't let their small selection of four acai bowls turn you away because Pure Vida known for having the best acai in Miami. This locally-owned and operated restaurant by a husband and wife team has branched into three locations around the Miami area. Their Signature Acai Bowl is made with raw organic Brazilian acai and banana blended into a smooth puree, then topped with granola and fresh seasonal fruit. For the non-acai lover in your group, there are plenty of other menu items at Pura Vida such as the "Perfect Egg Sandwich!" This organic juice bar in Miami serves up some of the best acai bowls around. 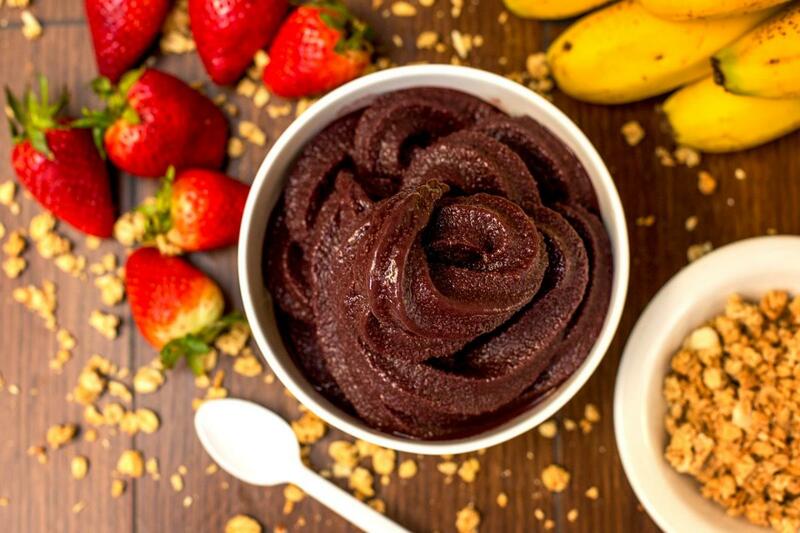 With seven different acai bowls on the menu, they have some that are healthier than others, and certain ingredients can be substituted out or added to improve the bowl for your specifications. Open 8 a.m. to 6 p.m. Monday through Friday, 9 a.m. to 6 p.m. on Saturday, and 10 a.m. to 5 p.m. on Sunday. If acai bowls don't do it for you, Under the Mango Tree also offers a full range of smoothies as well as juices and coffees. Healthy is an understatement, but the acai bowls at SImple Healthy food are far from "simple." These beautifully crafted acai bowls range from $9.50-$11 and consist of a wide array of natural, healthy and organic ingredients. Simple Healthy Food also has a full list of add-on items for just $1.25 per topping to increase the amazing-ness of your bowl. The Green Organic Acai Bowl is a must-try. With banana, spinach, spirulina, hemp seeds, and locally seasoned fruit, the Green Organic Acai Bowl is both healthy and delicious! For some of the most natural acai bowls, check out the Purple Orchid in Miami. Their acai is purely fresh fruit, so no added water or sugar! One of their most unique acai bowls is the "DTX." This signature bowl has activated charcoal in it as well as pineapple, honey and goji berries! The Purple Orchid also has a new Acai Cup which is 9 oz. instead of the traditionally-sized acai bowl. The Purple Orchid also has a wide selection of premium and wellness smoothies as well as juices and health shots! "Live right, live healthy, live strong" is Guarapo Juice Bar's motto. With two locations in Miami, Guarapo serves up an acai bowl and smoothies that are out of this world. Guarapo only offers one acai bowl, but it can be added to and altered with a whole range of toppings they have available from maca to protein powders, collagen, and bee pollen. One of the most fascinating aspects of Guarapo Juice Bar is that they have a Remedies page on their site that provides a healthy alternative to aid in your ailment! Whether acai bowls fill you up or not, all of these restaurants in Miami offer plenty of other menu items to satisfy any preference. Acai is loaded with antioxidants so be sure to eat as much as you can! Find more restaurants in Miami by registering on 305area and stay up-to-date on all things in the Miami area.